My friend Honore jokes that she’ll put lemon seeds in a dish of doctored-up jar mayonnaise to give her quickie aioli an air of authenticity. 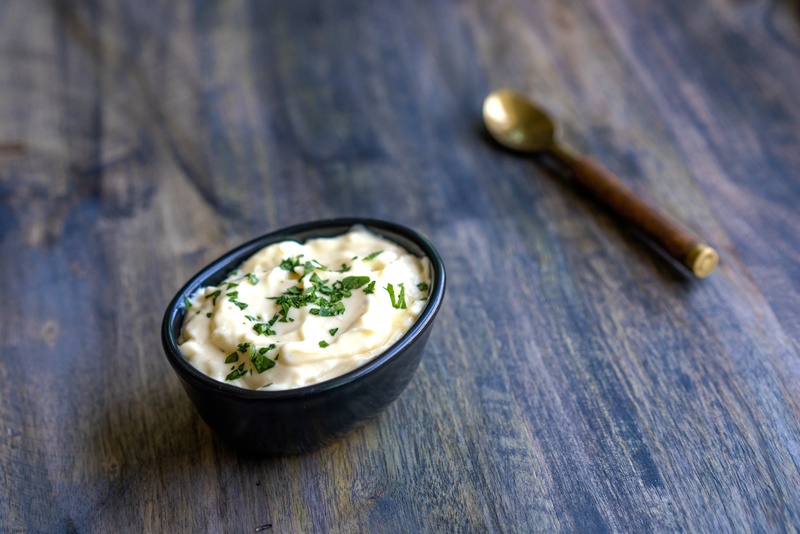 Feel free to serve this faux aioli recipe — pungent with smashed garlic and made with a mix of light and regular mayonnaise — with or without seeds. Mash the garlic to a paste with a pinch of salt in a mortar and pestle, and stir in mayonnaise, light mayonnaise and lemon juice. Scoop into a serving bowl and sprinkle with parsley.